Dee Why Physiotherapists are WorkCover approved meaning they are trained to treat injured workers within a compensation environment. We liase closely with your Doctor and Insurance company to ensure optimal recovery times occur and approval for treatment is in place. 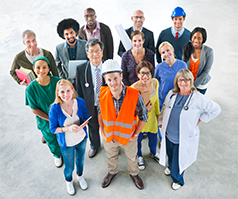 We will require a referral from your doctor and assist you if you have not already gained your workers compensation number from your insurance company. We will follow up approval from your insurance company so that we can bill your consultations directly to your insurance company which will remove the additional financial pressure at this time. All our treatment principles apply, including accurate diagnosis, effective hands-on therapy, progressive strengthening and flexibility programs, pilates, bracing and assistance in returning to work safely. Workers compensation injuries can be any of the presentations we see at Dee Why Physiotherapy and we treat with all the same principles. WorkCover claims may include patients receiving treatment for injuries that are the result of a specific incident or for injury from a repetitive or prolonged action causing an overuse injury. During treatment we may also liase with other health professionals, your employer and the insurer.